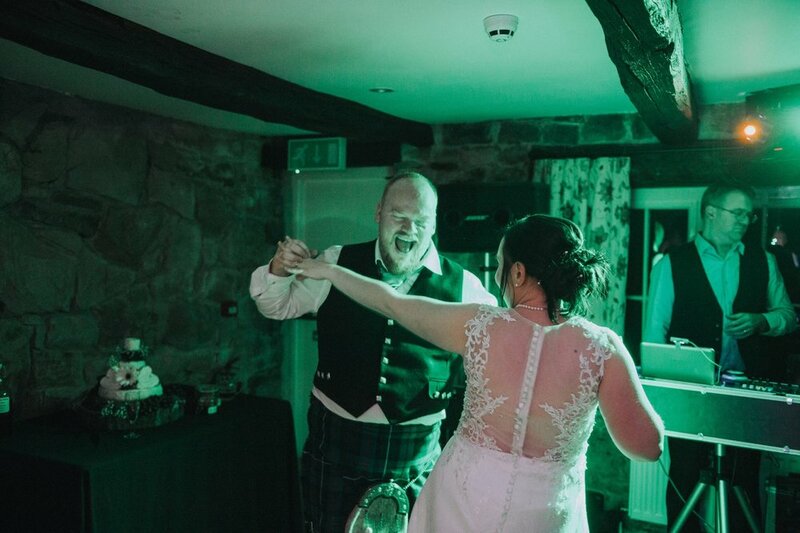 The Mermaid Inn, in Staffordshire in The Peak District, was the setting for Lynne and Ross' intimate and relaxed wedding ceremony. It's an old pub house dating back to the 17th Century and is now privately owned and rents out as a 13 bedroom self catered house. It's just a few miles from Leek, where Ross and Lynne had their legal ceremony before heading back to the Inn for their reception. It was my first trip to the Peak District, and, although thick with fog, it was still one of the most breathtaking places I've ever seen (I'm glad I arrived the day before the wedding, so I had some idea of how to find it as I could barely see 100 yds in front of me the morning of the wedding!) and I'll definitely be heading back with the family at some point! Thanks, Ross and Lynne, for inviting me to share your very special day - it was such a joy!